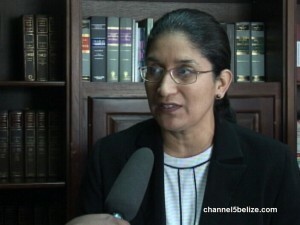 On Wednesday, while all attention was on the outcome of the Maya Land Rights case, the Caribbean Court of Justice also handed down a decision in the case of Juanita Lucas and Celia Carillo versus the Chief Education Officer and the Minister of Education. The judgment of Justices Nelson, Hayton, Anderson, Saunders and Wit was a split decision following an appeal which arose out of administrative issues at the Escuela Secundaria Technica de Mejico in Belize, where Lucas and Carillo served as principal and vice principal, respectively. The problem dated back to 2008 when they were both suspended by the Chief Education Officer pending the outcome of an investigation. In setting aside the appeal, the CCJ emphasized that the suspensions were not to punish the appellants but rather to allow for a proper inquiry to be conducted into the goings-on at the school.